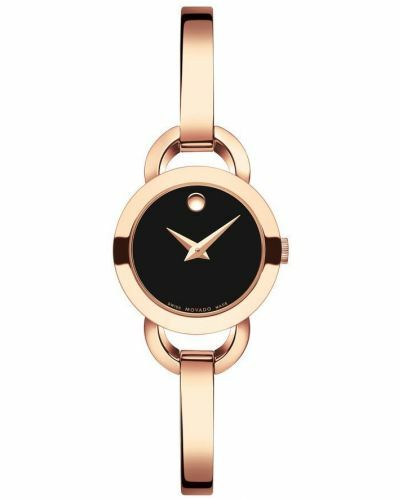 This stunning and simple Movado Ladies' Rondiro Petite Watch is perfect for a special occasion with slim stainless steel bangle style bracelet with large looping lugs. The stainless steel cases surrounds a black dial with the signature Movado sunspot at the 12 o'clock position. Small removable links sit at the underside of the bracelet so this watch can be sized to sit perfectly to sit on the wrist. With a Swiss made quartz movement, this ladies Rondiro offers excellence and accuracy. 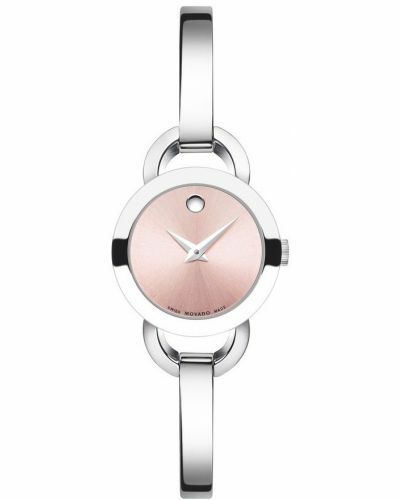 A 2 year Movado guarantee is included as standard.